We’re thrilled to introduce Ripon Re-Viewed, the latest addition to the Corals family! Launched during summer 2018, the site is home to the Ripon Civic Society’s vast photographic collection. It’s exciting for us to play a part in sharing the history of Ripon with the world. 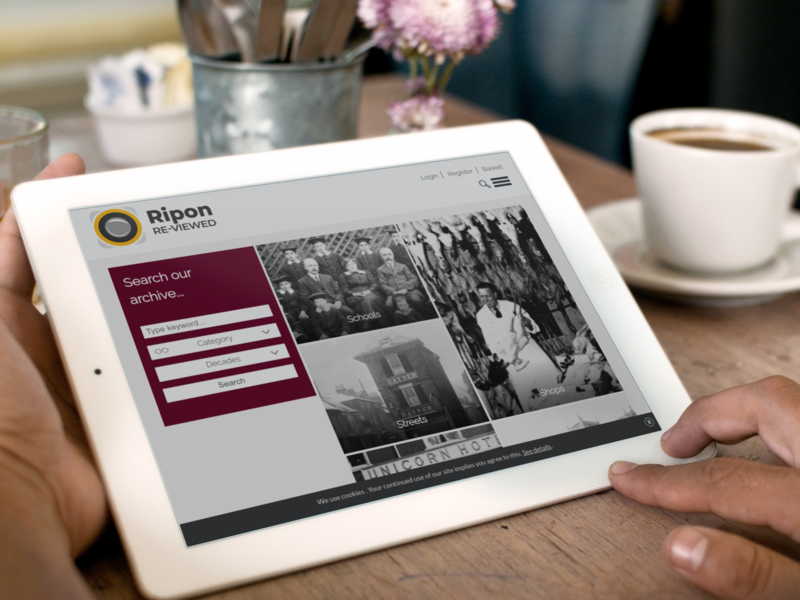 Ripon Re-Viewed is an incredible archive that documents the city from the 1880s right through to the 1970s. Its many thousands of images show the changes that Ripon and its people have gone through during those 100 years. Corals is our own purpose-built platform. It enables archives and libraries to deliver their photographic collections to different audiences. Ripon Re-Viewed joins the Library of Birmingham and Inspire Nottingham as the third heritage organisation to use Corals. This has been a super exciting project for us. We’ve very much enjoyed working closely with the team at Ripon to package their content for 21st Century, digital audiences. Previous: Silverstone Experience website launch Next: Congratulations Matthew!